Arsenio Nuckles (born December 5, 1989) Known professionally as Poor Geniius, is an American rapper, songwriter, activist, and designer. Born and raised in Marietta, Georgia, he initially gained recognition for being one of the first male successful clothing designers in Cobb County as well as a 4 star athlete. Poor Geniius is currently an independent artist. 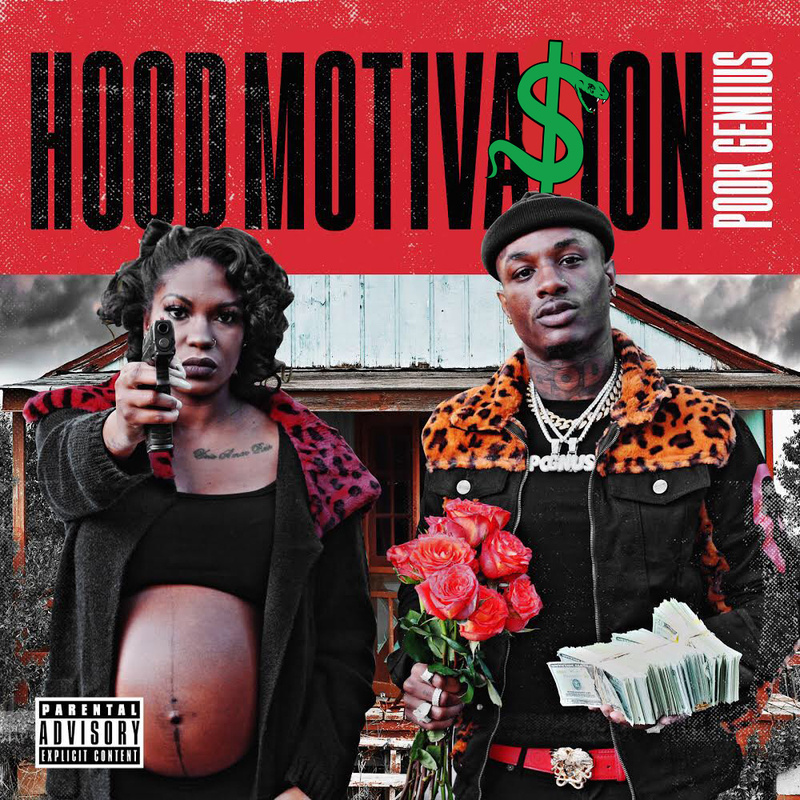 He releases his debut EP Album “Hood Motiva$ion" on March 13, 2019. Geniius attended Marietta then transferred to Hiram High School, Where he played basketball and graduated top 100 of his class. While in high school he was the ring leader of a gambling rink in Hiram, Ga and was arrested for felonies of possession of firearm, entering auto, and possession of marijuana when he was 18 years old. He later attended Rust College (HBCU) on a scholarship and played on its basketball team from 2008-2010. Later transferring to Kennesaw State University where he finished his Sport Management degree in 2018.